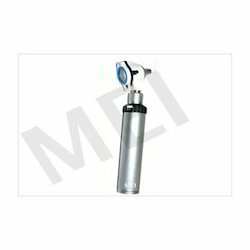 Prominent & Leading Manufacturer from New Delhi, we offer fiber optic otoscope and otoscope fiber optic. Our company is regarded among the prestigious manufacturers, wholesalers and exporters of premium quality Fiber Optic Otoscope. These products are manufactured using cutting-edge technology and advanced machinery. Our offered products are praised by the clients for their unmatched quality, simple functionality and hassle-free operation. We are engaged in the manufacturing, wholesaling and exporting of superlative quality Otoscope Fiber Optic. Offered products are manufactured in compliance with industry laid norms under strict supervision. 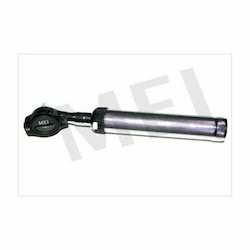 Widely used for pneumatic membrane test, these products are extremely demanded across the globe. Moreover, we offer these products at affordable market prices.